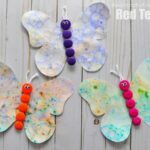 You can tell that the summer months are heading our way, as we forage into the world of BUTTERFLY CRAFTS! 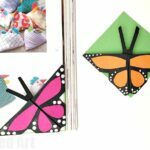 Today’s adorable Butterfly Mask Printable is perfect for assembling with card, or print directly onto cardboard and use it as a butterfly mask colouring page! Love that you can use it both ways! 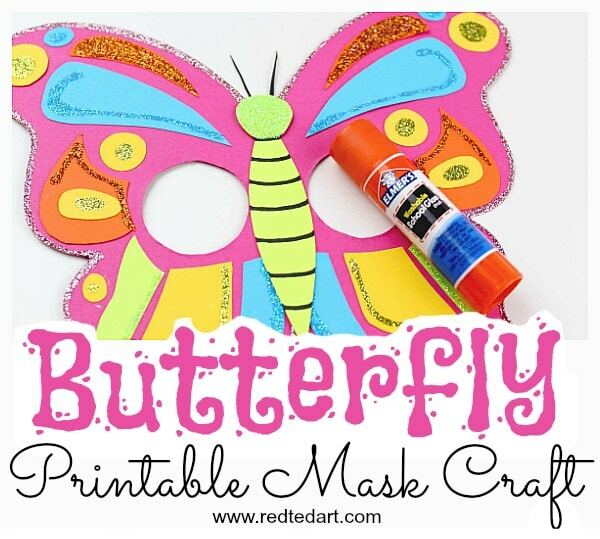 I hope you love our free butterfly masks to print. 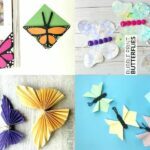 We have lots more fantastic Free Printables for you to check out! 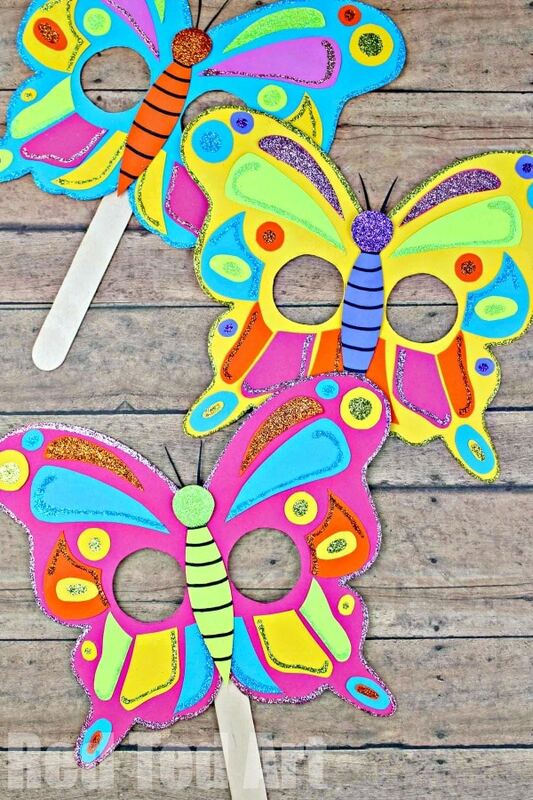 Cut the butterfly and the eye holes out from the printed template. 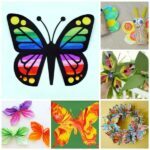 Trace the entire butterfly shape onto cardstock and cut out. 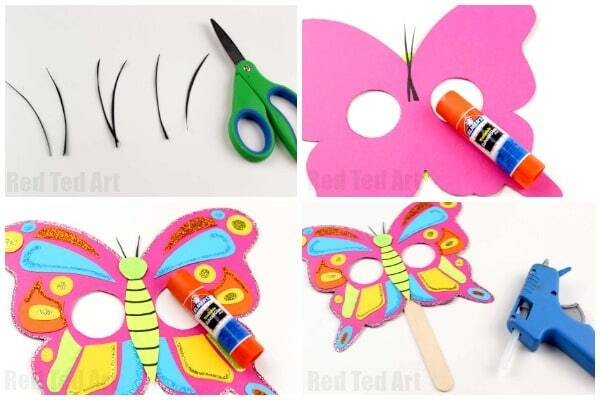 You will now need to, trace the body of the butterfly onto cardstock and cut out. Set aside. 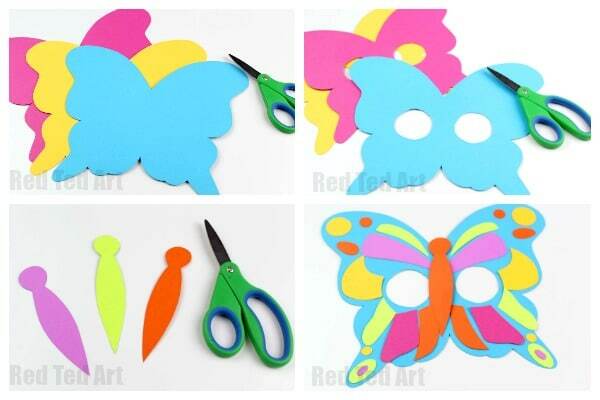 Now, cut out each shape from the butterfly template. 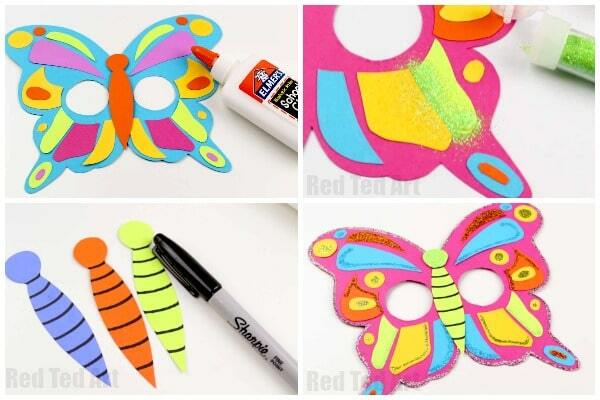 Add lines of glue to the shapes and decorate with glitter. Shake off excess glitter. 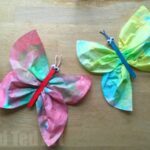 Allow the glue/glitter to dry completely. Add glue to the head and coat with glitter. Shake off excess glitter. 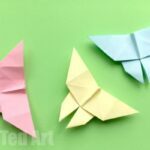 Glue the body of the butterfly onto the middle of the butterfly. Cut very thin strips from black cardstock. 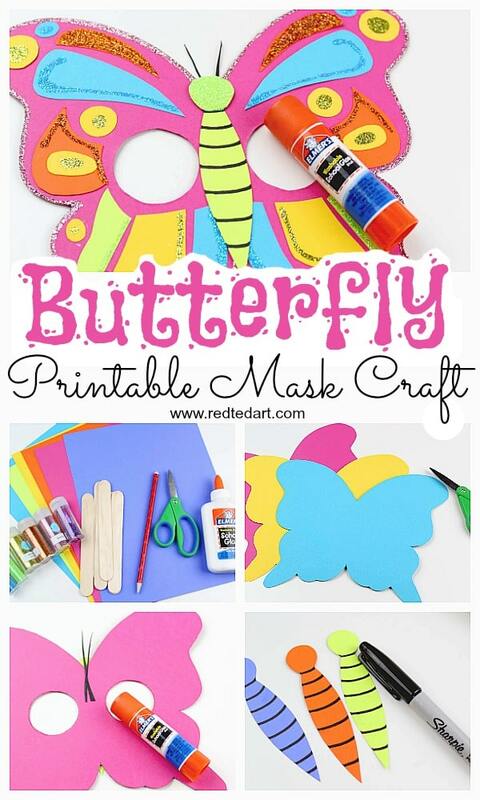 These DIY Butterfly Mask Printables would make a great party activity! 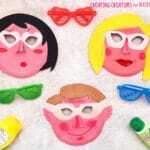 Or make them as party favours at a summer party! These are so cute! I love this idea! 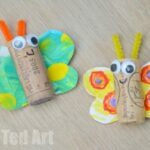 I can’t wait to try this out, the kids will love it for sure!